WESTFIELD, Massachusetts - April 3, 2018 - Savage’s feature-rich new 110 Predator offers predator hunters a high-performance shooting platform that’s every bit as adaptable as the carnivores they pursue. Shipments of these firearms are currently being delivered to dealers. The rugged Savage 110 Predator’s AccuFit system lets shooters easily customize the length-of-pull and comb height for a personalized fit, while the user-adjustable AccuTrigger offers a crisp, clean pull and prevents the firearm from discharging if jarred or dropped. Together with the AccuStock, which secures the action three-dimensionally along its entire length, the 110 Predator provides the fit, function and accuracy of a custom rifle—right out of the box. 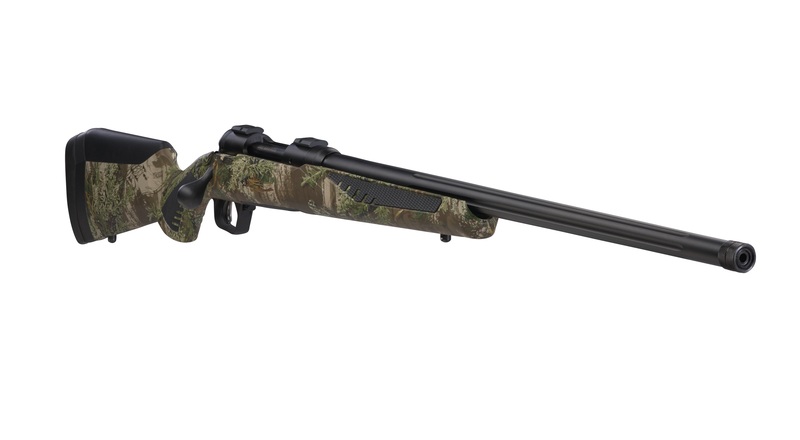 Plus, its Realtree Max-1 synthetic stock conceals hunters from sharp eyes, while the oversize bolt allows fast cycling.